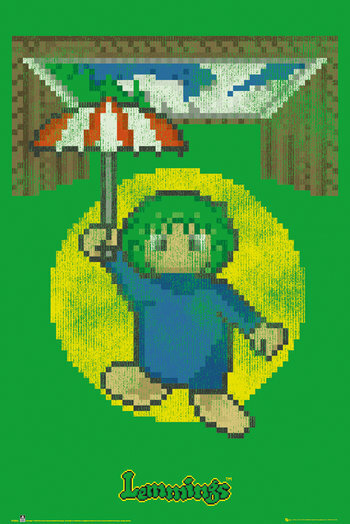 The upcoming Lemmings merchandise - Current Info; Discussion; Your hopes? Today in the Lemmings Merchandise Index, there was a rather excellent post by jaycee900 about an upcoming official Lemmings merchandise programme. I think that this is major enough news to warrant a thread of its own, especially since the topic of applying modern and proven traditional merchandising and marketing methods to Lemmings is something that I've written about before. Current licensees are Paladone, Bioworld, Gaya Entertainment, and GB Eye. The product categories confirmed so far are mugs and fridge magnets from Paladone, clothing (stated to be "a collection of adult and kids apparel, nightwear and loungewear") from Bioworld, plushes, bags, keychains, and wall-scrolls from Gaya Entertainment, and retro-specific posters, stickers, badges, and notebooks from GB Eye. More licensing partners are being sought at the Brand Licensing Europe 2014 trade show (running between October 7th to 9th 2014), in order to have more products created. Goods are "expected to hit shelves from early 2015". UK-based web store Gamerabilia will be carrying all of the products confirmed so far. First photographs of upcoming merchandise will hopefully be published around mid-November. GB Eye's line-up will also include card/pass-holders. Global License! (LicensingExpo.com) suggests that all licensees' goods, and not just GB Eye's, may be retro-themed, but there is currently nothing to prove this one way or the other. Official plushes, with sound effects, can now be pre-ordered from Gamerabilia. My thoughts on it all are that I think that the Lemmings series, and the culture it spawned from (which has the unfortunate distinction of being at risk of being forgotten), very much deserves this. As I've said before, I think something like this will help to bring fans old and new back, and with any luck it might net us some new games (which will hopefully avoid some of the issues that unfortunately marred Lemmings Touch after its otherwise-great start) at some point, as well. It does mean that as of today, I have officially retired from plush lemming commissions, though, as I have a strict policy of not making custom plushes of characters who have official ones. I'm actually really happy to be able to say this, because it means that we got a great outcome on the merchandising front that will hopefully spill over into helping the series as a whole. 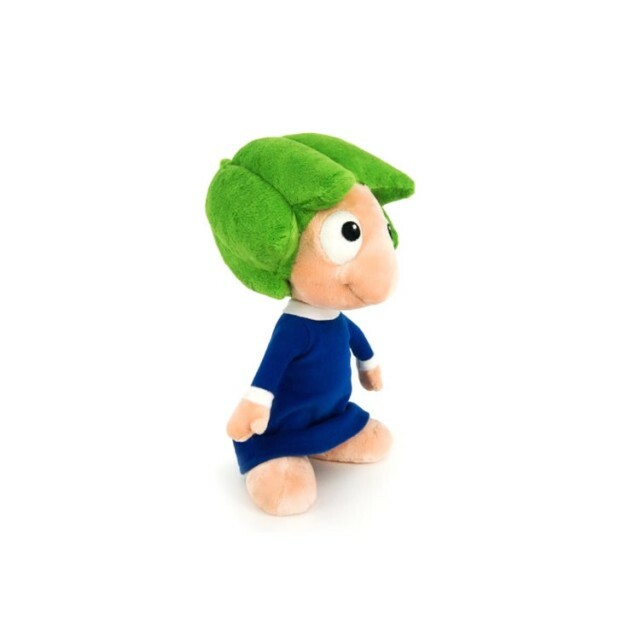 My only other hope for the line right now, is that the Brand Licensing Europe 2014 outing brings about blind-bagged figurines, as I really think that Lemmings is well-suited to a fun little random-collectibles craze like that. It looks like the improvements I've often mentioned hoping for are finally beginning to happen. Who knows where things will go from here? Re: The upcoming Lemmings merchandise - Current Info; Discussion; Your hopes? Yeah, providing they use nice images, they said in the piece the original pixel images would be used rather than the more modern Team17/d3T images so that's a step in the right direction. Yeah, though that seems to only apply to GB Eye's line-up at this point. Barring another art-style change we don't yet know about, I would imagine that Gaya's plushes, keyrings, and so on, will be based on the current designs. I was never fond of the variant used when Team 17 worked on the PSP port/remake, because the lemmings were made to look a bit like weird little beaky bird-people! That said, the tweaks made to the design for d3t's work on Lemmings Touch made that design cuter, and I'm fine with that one being used for this. Personally i'm looking forward to the Gaya merchandise, recently bought some Bubble Bobble plush and mug by them at EGX and it's good quality, not cheapest for sure, but i'd rather pay a little extra for quality than something that would come un-stitched in 6 months. I have the Bub plush, myself, and I'm really impressed with the quality and likeness, too. They were definitely the best choice of manufacturer for this. That said, I do hope that, if the Lemmings plushes have sound modules in them, that they don't make the bizarre decision to place them in the arses, like they did with the Bubble Bobble ones, haha! And yes some proper figurines would be great, I'm there's plenty of designs in the first two games alone to be getting on with! Actually, that's another hope of mine for this merchandise line - I'd like to see a return of the Tribes! Anyhow, I have a small update, that's been added to the bullet-point list in my first post. I've gotten confirmation that Gamerabilia (one of my favourite companies to deal with for buying video game-related merchandise, as they're marvellously helpful) will be carrying the complete line-up that's been confirmed so far. Wow, great news! 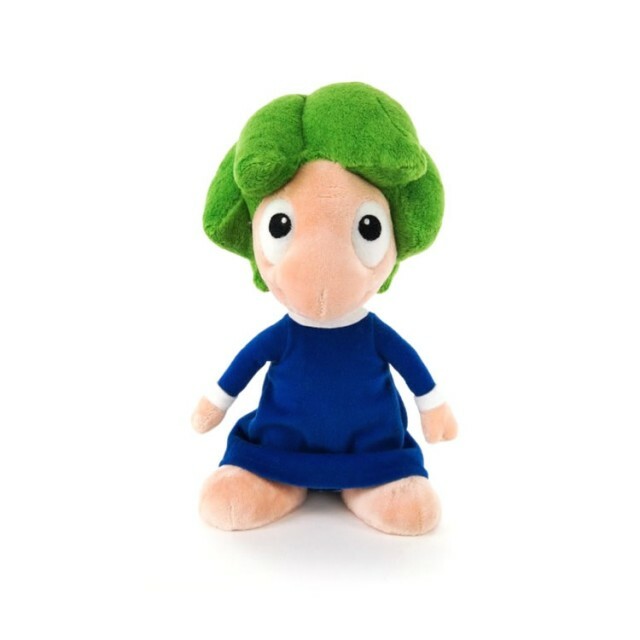 I'd love to have a plush Lemming. I've got a little update. Whilst there's been no word yet on whether any new Lemmings licensees were picked up during the Brand Licensing Europe trade show, I dropped a line to all four of the currently-known ones to ask when they might be able to share pre-release photos of their upcoming items. So far, I've had one reply, and that particular company said that they hope to be able to publish photographs sometime around mid-November, pending their current work being approved by Sony Computer Entertainment Europe. I've added this to the bullet-points in the parent-post. Another update of sorts. I found a second report about the merchandise announcement which mentions one merchandise item that wasn't mentioned in the report from Licensing.biz, and which suggests that every licensee's output will be focussed around the Lemmings series' old-style look, rather than just GB Eye's products being retro-themed. That report is here. I'll update the parent-post accordingly. If this is accurate, it's interesting, as it may mean an art-style reversion and the possible abandonment of Sony Computer Entertainment Europe's modern redesigns if a new game should happen to be introduced alongside the merchandising programme. EDIT: I also noticed something - the same artwork was used in all reports about the programme, so far. It appears to be newly-made, which would, as per the above, suggest a return to the old-style look of the series. Your research is amazing Prob Lem! Even if only the merchendise would be nice to get, a new game that doesn't follow Sonys new style but rather the old one would be a wonderful christmas present (only news about it is enough). Your research is amazing Prob Lem! Thanks very much, but I really can't take any credit for it - I wouldn't have known about it if jaycee900 hadn't mentioned it, and I'm just checking for and compiling information published by professionals in the licensing field. Even if only the merchendise would be nice to get, a new game that doesn't follow Sonys new style but rather the old one would be a wonderful christmas present (only news about it is enough). It probably means nothing in the context of this situation, but I notice that Sony is leaving their old PlayStation Mobile platform (a store, and a runtime requiring internet access before games made for it will actually run, coupled with a very small list of approved phones and tablets on which it will work) for Android versions below a certain number, and have reattributed their items on the Google Play store from Sony Computer Entertainment, to "PlayStation Mobile Inc.". I'd guess that this may mean a bit more of a focus on making their mobile output available to a great many more devices from now on, though whether this will involve a new Lemmings title being released that way (as I believe would be a sensible thing to do to allow the series to grow) is anyone's guess. I would definitely like to see it, but I know that right now, that's probably just wishful thinking on my part. The announcement of the merchandising programme has garnered 57 shares! 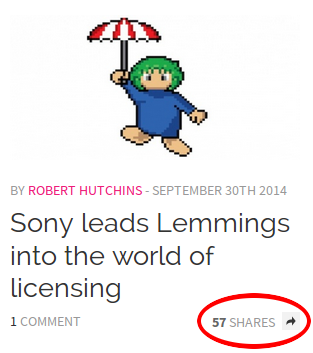 I've never seen an article on Licensing.biz gain so many - not even pieces written about franchises and pop-culture phenomena that most folks would deem to be much bigger than they would probably deem the humble old Lemmings series. I think that speaks volumes as to how beloved Lemmings is and remains, in spite of how badly things were going for it for such a long time. Looks like they're going for an aged look to the image, there - it's the sort of thing you usually see on "distressed"-style t-shirts. 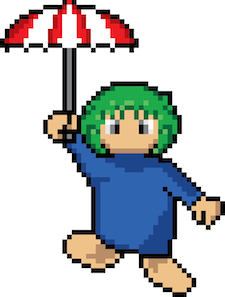 Interesting rendition of the Lemmings logo there, too - it's more pixellated than I'm aware of it ever looking in any version of the game. Ok, I've been really lax on dealing with this thread lately, but I just heard some big news - the official plushes have finally been revealed! This is the main official merchandise that I've been waiting for, not just in the five or six months since the announcement, but also ever since I got into Lemmings way way back in 1993. It's been a damn, damn long wait. Amazingly enough, they aren't retro-styled, which was somewhat unexpected given that the press release was very focussed on the whole retro thing. They are based on the later Sony-era artwork - that is, they have the tweaked, cuter look established with Lemmings Touch, rather than the slightly odd bird-people look of the PSP artwork. Also, they have a sound module built-in, which apparently has the classic "Oh No!" sound, though I wouldn't too be surprised if this turns out to be the PSP/Vita equivalent, to be honest. Images below, borrowed from Gamerabilia, who will be selling these for £17.99. I would have to say that they are very much up to Gaya Entertainment's usual high standards, and going on their track record to date, the final product is likely to be as good as or better than the prototype. 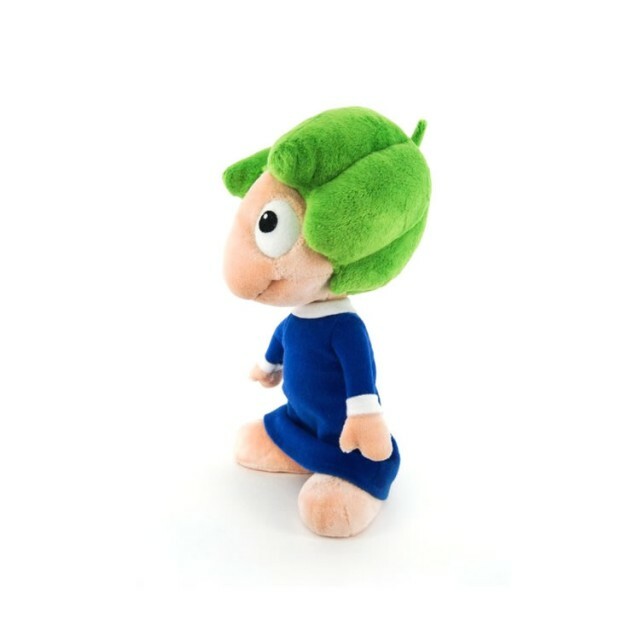 Having made so many plush lemmings myself, and having stopped because the official ones were announced, I'm really looking forward to the release of these, as you might imagine. I also think they look really good! I kind of can understand why they choose the newer design instead of the more retro-styled ones, even though I also really wanted to see an old fashioned one as well. The fact that new Lemmings merchandise is being released really warms my heart. I honestly like the new design more in 3d. It's slightly cuter and looks more like how I always imagined them anyway. That plush actually looks really cool! Little info-burst, guys: The official plushes are now up for pre-order. UK outfit Gamerabilia is carrying them for £17.99 excluding shipping, and they do ship worldwide. I have no affiliation with them, I'm just a very happy multi-repeat customer! Also, I don't know of anyone else who's taking pre-orders for them right now.